And bubbles wink, as though they keep their promise. Like thoughts which cross the blue, indifferent skies. So long as there are dreams, the monsters rise. By Gary Bills. Published on the Traditional Fisherman's Forum site, and in Waterlog, Autumn 2012. ANGLERS attracted to traditional fishing tend not to worry too much about catching monsters, I have observed; and in the case of the Gnome, that is just as well! 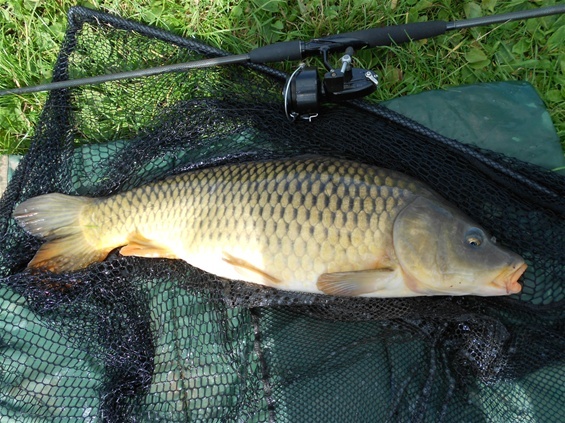 Recently, I bought my season ticket for a carp water that hadn’t been fished for twenty years, and I really looked forward to catching some of those pristine commons. There weren’t supposed to be any mirrors, but by the autumn I had caught a gorgeous fully-scaled mirror, much to the surprise of the farm manager. There weren’t supposed to be any real monsters in there either; but the sight of one common took my breath away, and it also changed my view on whether or not carp can hear human voices. 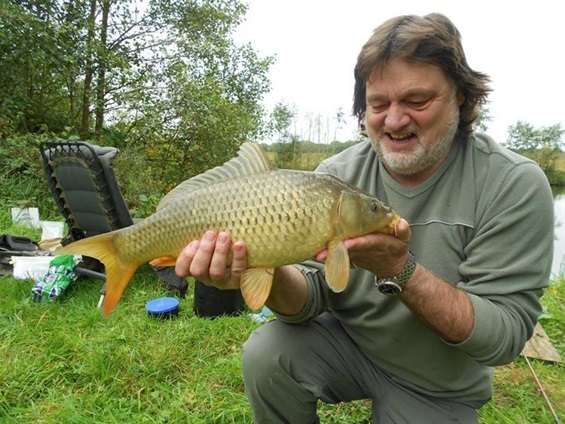 I had been having a good day, by my own humble standards – using prawns, the sight-bob and fluorocarbon to catch seven commons, to low double-figures. I was fishing the bay, where the pool narrows to a point, still over a channel of deep water, but where cloudy beds of bistort rise to within a foot of the surface. Normally, the margins there are at least eight feet deep, but the farmer had taken two feet off the top, to irrigate his crop of black currants. This allowed me to use the “bob”, which is a method for shallow water, really. I was sitting on the bank and on my laurels, when I glanced to my left, for a vista of the pool in the golden light of a mid-October afternoon. There, on the surface, six feet off the rushes, was a magnificent common, as rotund as a pig in a country fair and about 32 inches long, by my cautious estimation. I really must learn to keep my voice down on the bank! Well, a mild autumn gave way to a wet and cold early winter, and I found I could not face the long bike ride to my little corner of paradise during the chillier months. For the time being, I’m left looking at my tally from that isolated little pool for the year – just 25 carp, and only a few doubles. But I’m certain that its three acres will surprise me; and I need to believe that, I suppose. There’s also a sandy-coloured mirror there: I’ve seen it on a number of occasions, and it is possibly a low twenty. It was accompanied by common of 8lb or so on the day I fished the pool with fellow TFF member, Dave Burr. My bob shot away and – you’ve guessed it! – I caught the common! 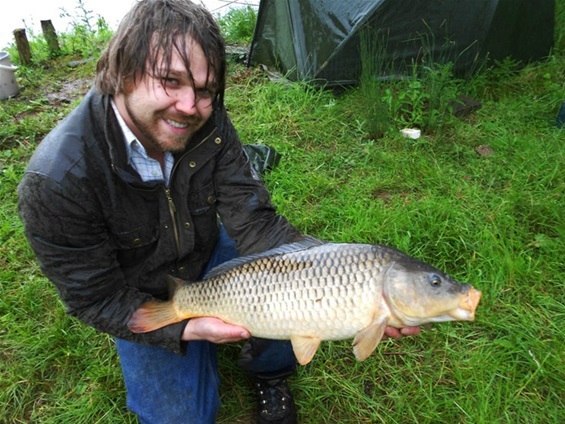 But who could be disappointed with a pristine common like that? Dave showed me how to do it that day my catching three modest-sized commons; but he also lost a bigger, unseen fish which screamed away and, if I recall correctly, threw the hook on a snag. There are quite a few snags in the lake I call “The Other Pool”. The worst snags are old wooden posts, submerged all along the line of the bulrushes. I expect there must have been a board-walk there at some time. Because of changing light conditions, you cannot always see those posts and poor judgement on my part lost me a rather strong fish last October. It took crust, by the reeds, - I saw the lips and little else. The power was considerable, but it was a deep slow pressure along the reeds. I bent into it and the fish slowed and then, – horror of horrors! - there was an unpleasant grating sensation down the line. The cunning beast had run between two of the sunken posts, of course! After a brief period of stalemate, the line parted about six inches from the hook. Naturally, to prove there are big fish in there, they do need to be caught and weighed. Last May, when I first fished the pool with another fellow TFF member, the redoubtable and bubbly St John, we were happily predicting that some of the fish, glimpsed far out, were twenties. However, with St John skilfully putting two doubles or so on the bank, we realised that the commons, at least, seem to weigh “light” for their length – so that is another factor to be taken into consideration. Perhaps I am heading for eventual disappointment, but it is a journey I am willing to take. In my own more modest way, I am on a similar journey to that taken by the Carp Catchers’ Club at Redmire and Hilton and his friends at Ashlea. It was the belief in larger than average fish, in relatively unfished waters, which added the extra magic to their sessions. Not for them known fish, with a track record of being weighed on the bank. They too wanted to be surprised. And, this year at least, I am hoping for a few pleasant surprises as well! Pristine but lean - a double-figure commom from "The Other Pool." On a very rainy May afternoon, St John is pleased with a double from "The Other Pool". Looks like your " other pool " is being " improved " by the leaseholders. Sadly it will never be the same for you or me. Best regards. Ritchie. Gaz. Noticed you have Daiwa whisker tournaments like mine. Lost mine in a garage fire in 08 taken me 5yrs to find replacements. IMHO best rods ever made!! 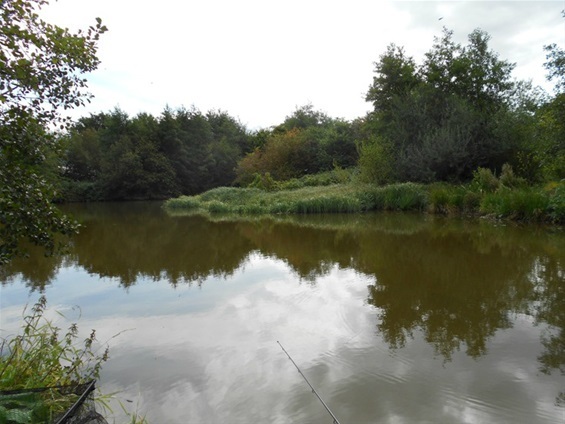 Hi Ritchie - similar to tournaments - AKN 116s - the Nash Stalkers, also by Diawa, - I love Diawa rods..
Gary used to fish Pix midweek, get there 4:30am and fill in swim with an up/ down g/bait mix making a column of smell Had 36 one day! but pixley best only 19lb. 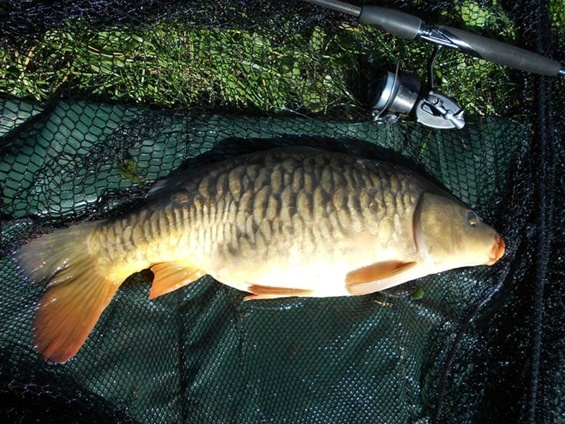 I've done 20 carp in a day from there, Ritchie, but nothing as big.. I'm not too fond of the pool, really, because of the pressure it's under. 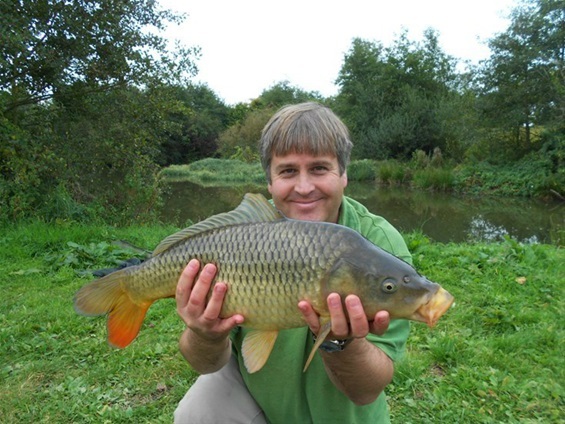 Hi,Like your Gnome title,i see you like true BB fishing.Have fished Pixley and Glebe but not for 15yrs. Any info on QUIET places to fish appreciated. Ritchie. Then a club turned up for a match.